The New Year's Eve fireworks based on the Aboriginal theme 'Creation Storm' explode over the Sydney Harbour Bridge on January 1, 2009. 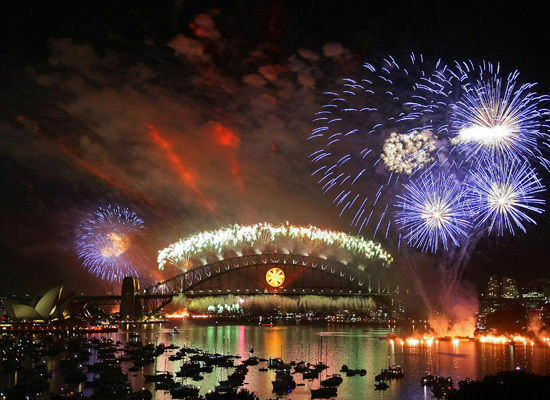 Over 1.5 million Sydneysiders and tourists lined the harbour foreshores to watch 120,000 pyrotechnics usher in the new year. Hot Chocolate- Everyone’s A Winner Baby! Reviewing the constant variety of political and cable news hackery from a year that was so thoroughly clogged with incredibly ridiculous performances that we barely avoided a massive eruption of liquid hot crazy, we can easily find more than a few quotes that were almost totally overlooked, along with too many hacks, hoopleheads and outright doofs who weren’t given a full turn at the flogging pole. For instance, I’m hoping that in 2009 TIME blogger and MSNBC contributor Mark Halperin is finally recognized as not just another very serious haircut amongst a media gaggle of masturbation-addicted cardboard standees, but in fact as a Drudge-caliber hackery-factory providing the establishment media with absolutely the most unforgivably ridiculous pearls of conventional wisdom in already super-stupid media world. Out of all of the various lists documenting the year’s worst this or that, I haven’t spotted any of Halperin’s greatest hits for some reason. His insufferably decrepit posts include the daily “Five Important People Who Aren’t Obama” lists which appear to be five totally random names blurted out in numerical order without any explanation or insight — ostensibly proving that he can both spell and count. The parasitic hackery twin to his “Halperin’s Take” posts are his PageCast videos in which he tells us about news events, and that we should “watch out for them.” For example: Congress! Watch to see what happens with it and what the congressional members say in Congress. 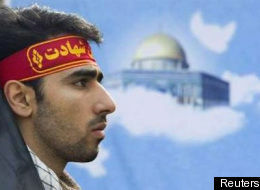 Iranian Suicide Bombers To Attack Israel? TEHRAN, Iran — Hard-line Iranian student groups have asked the government to authorize volunteers to go carry out suicide bombings in Israel in response to the Israeli assault on the Gaza Strip. In an open letter to Ahmadinjead, the students said “volunteer student suicide groups … are determined to go to Gaza. You are expected to issue orders to the relevant authorities in order to pave the way for such action.” A copy of the letter was made available to The Associated Press on Wednesday. Volunteer suicide groups have made similar requests in the past and the government never responded to their calls. Some hard-liners have claimed previously they succeeded in secretly sending bombers to Israel, but their claims have never been verified, and there has not been any sign of Iranians carrying out suicide attacks in Israel _ raising the likelihood the groups’ activities are mainly for propaganda purposes. The hard-liners started signing up volunteers after Iran’s supreme leader, Ayatollah Ali Khamenei, issued a religious decree Sunday saying anyone killed while defending Palestinians in Gaza against Israeli attacks would be considered a martyr. The groups claim that more than than 10,000 people throughout Iran have registered as volunteer suicide bombers in the past three days. At a gathering Tuesday in Tehran, hard-liners were distributing registration forms to volunteers. The Spin; I’m In…2008 Year In Review! The FBI is understood to be monitoring key individuals connected to the $50 billion (£34 billion) Bernard Madoff investment scandal as the federal agency comes under increased pressure to construct a criminal case against the 70-year-old financier. The agency is scrutinising bank withdrawals made by former employees of Mr Madoff and their personal activities, including where they travel and with whom they mix. The use of such methods came to light as it emerged that Frank Dipascali, Mr Madoff’s chief financial officer, has been interviewed by investigators over his role at Madoff Investment Securities. Marc Mukasey, Mr Dipascali’s lawyer, failed to return calls yesterday. As regulators scour documents seized from Mr Madoff’s offices in Manhattan, the financier is under pressure to meet tomorrow’s deadline to provide details of all investments, assets, loans, lines of credit and accounts held by his company to the US Securities and Exchange Commission (SEC).